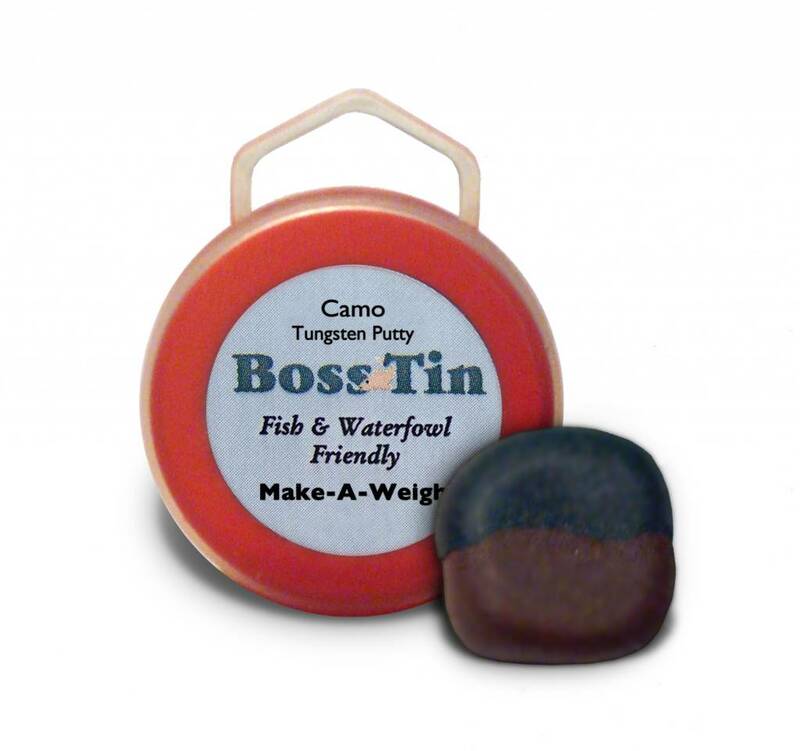 Boss Tin Make-A-Weight Tungsten Putty, Camo Tungsten Putty that is easy to use and environmentally friendly. Leaves no sticky residue on your hands, clothing or gear. 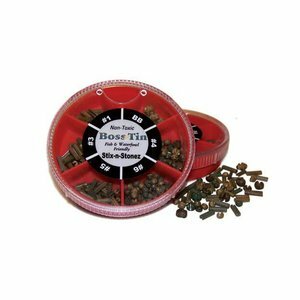 Simply pinch off the appropriate amount and roll it onto your leader. Before casting, dip your line into the water to set the putty. Adjustments are quick and easy and it can be removed and reused.